These past few years were not in my plan & have been rather a challenge. There have been times when I have been overwhelmed by all I am facing & yet I am conscious I am not dealing with the heartaches or pains others are facing. One thing I do know is that God loves me, He has never given up on me, cares for me & has a plan for my life. Music is one way I am soothed & connect with the many promises of a loving God. My favourite group is Casting Crowns, the words of their songs full of the promises, hopes & truths of God. This song, Just Be Held is from their latest album "Thrive" & the words have brought comfort & encouragement. Why not take a moment to listen, I hope they encourage you in whatever season you are in. 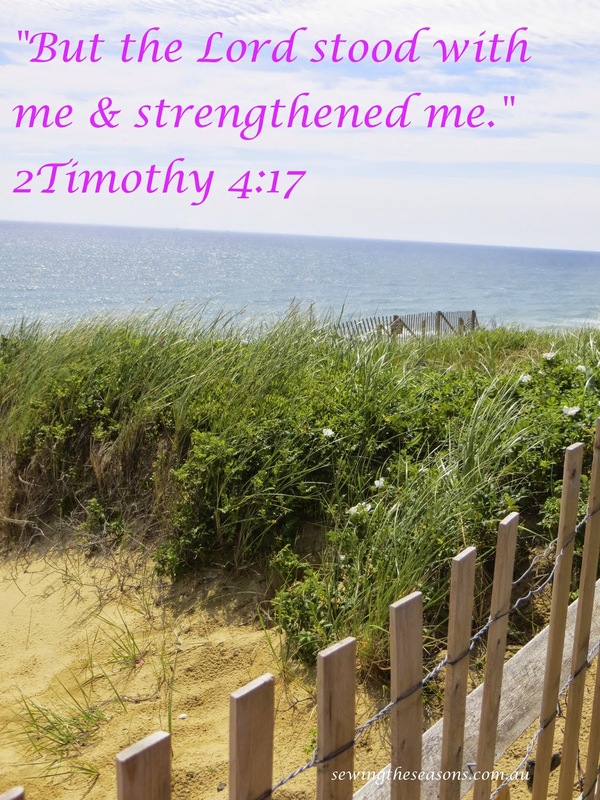 I also find encouragement from the promises from within God's word to us. The verse above from Ezekiel was part of a sermon a few weeks ago & was timely to a situation I was facing that very week. This one was from a daily devotion, a wonderful reminder of God's love & care for each of us. Can I encourage to take time, pop on some music, meditate, pray, reflect, just draw aside from whatever it is you are facing ........... just REST & BE HELD. Your faith certainly gives you strength, Robyn...I feel the same way. Thanks Maria appreciate the encouragement.